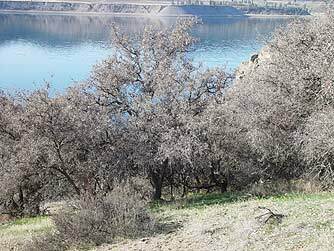 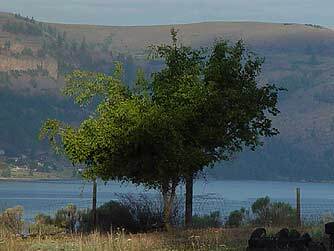 Netleaf hackberry or Celtis laevigata is a small, gnarly tree that reaches its nothern limits in Eastern Washington. 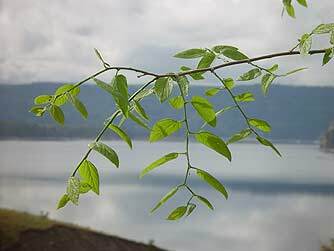 Common in the desert southwest from northern Mexico to Utah, hackberries in Washington prefer semi-desert canyon country along the Columbia and Snake Rivers. 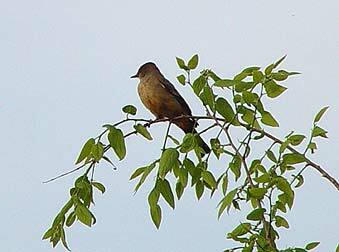 This is the only member of the elm family native to the pacific coast states. 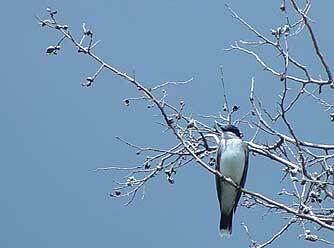 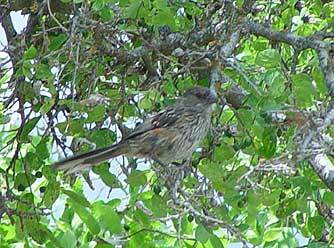 Netleaf hackberry trees produce small, stony fruits that birds eat and scatter. 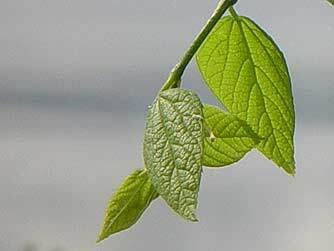 They grow from 20 to 30 feet tall, have leaves that are lopsided at the base, rough to the touch, and visibly netted with veins. 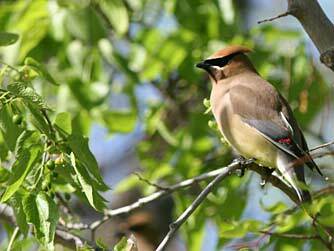 Dense foliage, twisted branches, and generally wide-open habitat make this a good nesting tree for many birds such as cedar waxwing, magpie, bullock's oriole, spotted towhee, eastern kingbird, mountain chickadee, wren and robin.